Only three types of grapes are grown for champagne, Pinot Noir, Pinot Meunier and Chardonay. These are grown under strict rules that dictate the volume of grapes each vineyard is allowed to grow and what type. The grapes are harvested and taken to be pressed. This used to be done by foot however is now done by machine. 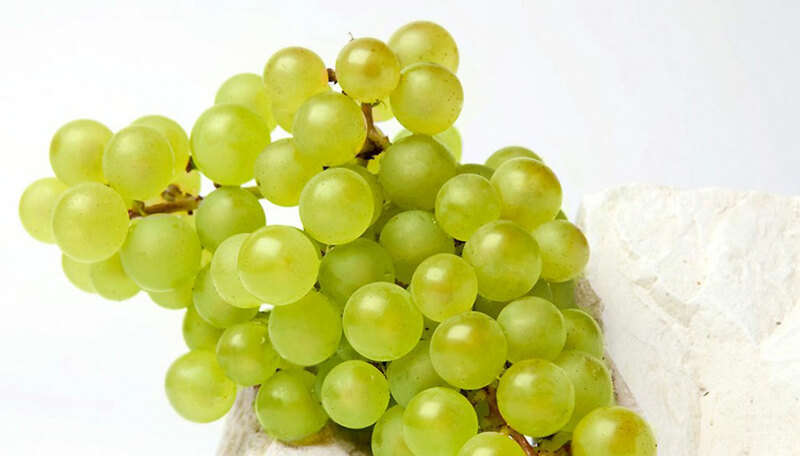 The first presses of these grapes are called grand cru which will be used in the most expensive champagne, subsequent liquid is used to produce more affordable bottles. Next is the first stage of fermentation. This used to be done in barrels however is usually now done in large steel vats. The juice is placed in these vats and yeast is added which converts the sugar in the juice into alcohol. After this stage the liquid is normal wine, about 8% ABV and non sparkling. These wines are tasted and blended to make a unique champagne that will match the taste profile of previous batches. Next the wine is prepared for the second fermentation step. The wine is placed into champagne bottles with more yeast and sugar. The bottles are sealed to prevent the escape of the gas. As the yeast converts the sugar into more alcohol it expels carbon dioxide. There is little space in the bottle so as carbon dioxide is produced it is squeezed into a small area. This causes high pressure that produces bubbles that are much smaller than wine that is made sparkling by secondary fermentation in vats or by artificial carbonation. This secondary fermentation takes about three weeks after which the yeast dies and leaves a light sediment in the bottle. The next step is to remove the sediment. The bottles are placed vertically and rotated slightly every few days over the course of three years or more whilst slowly being tilted till the bottles are upside down. This process is called riddling and was traditionally done by hand by someone called a riddler. By this time all the sediment has settled in the neck of the bottle and is ready to be removed. The bottles are dipped upside down into a cold brine about -22 degrees celsius. This freezes the sediment in the bottle neck. The bottle is then opened and the sediment shoots out. it’s then re sealed with a cork, cleaned up, dried and ready for labeling. A machine places a wire net over the cork and tightens it to prevent it from coming loose. The bottles are then labeled, boxed and moved to the warehouse for distribution round the world. Posted: 25/02/2014 04/04/2014 . Tagged: cork, fermentation, grand cru, How Champagne, how champagne is made, how is champagne made, made, riddled, riddler, secondary, tasting notes, vats, what is. Bookmark the permalink.